What do you imagine a vampire to look like? Draw it. 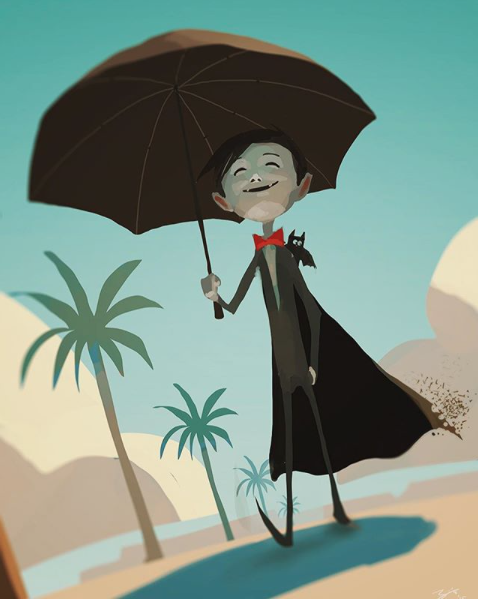 What do you imagine a friendly vampire to look like? Draw it. Compare the two drawings. Can a vampire be friendly? Share the image and title. How do you know that this vampire is friendly? Would you be his friend? Where is he? Where is he going? Why is he holding an umbrella? What is happening to his cloak? What do you think the bat is thinking/saying? What’s going to happen next (in 5 minutes, in an hour, later that day, tomorrow…)?